Auto-dimming rearview mirrors may be the evolution that saves lives from something so simple. The issue with rearview mirrors at night is that it can catch glare, blinding some drivers who have sensitivities to headlights. This is due to something called a Troxler Effect. 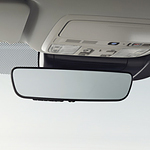 However, the latest vehicle's now have rearview mirrors that are made with auto-dimming features. The folks at Onslow County Motor Company want you to know how to get the most from your vehicle. If a car has a blind spot monitor, it can reduce the odds that you or your loved ones get into a car accident. This is because the monitor will look for any vehicles that you can't see while driving. 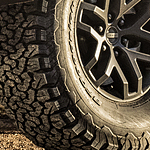 If you are planning on making modifications to your vehicle in order to go on an off-road drive, there are a few things that you are going to have to consider before going through with it. This can save you a lot of trouble that can come with making regular modifications on your vehicle.